Cold and flu season is here! I just met a sick family at my office–and it’s Sunday! This time of year parents commonly ask, “Can my child go to school or day care tomorrow? Will she be well enough for a birthday party this weekend?” Every winter I help families with these questions in my office and in my own home (I have three boys and currently has a cold). So how do you know when your child is too sick for school, birthday parties, or other activities? Here are the most common illness symptoms kids have this time of year, and my guidance on when to keep them at home and when to check in with your pediatrician. 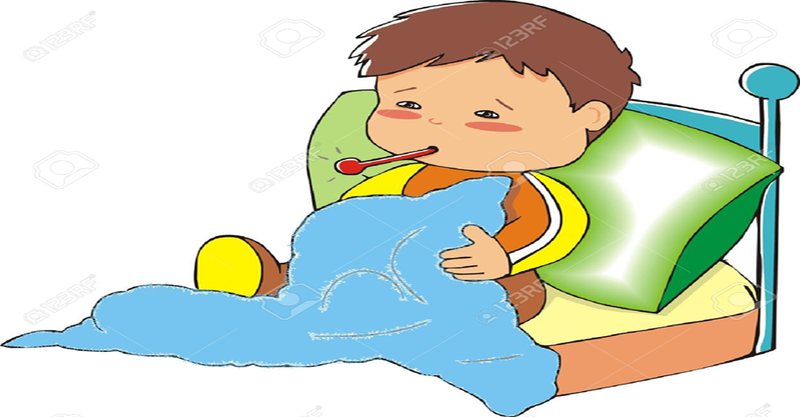 If your child has a temperature of 100.4 or higher, that is considered a fever and he should stay home (even if it’s his best friend’s birthday party). As long as your child is over 3 months of age, it’s usually not important how high the fever is, but how your child is acting and what other symptoms he has. If he looks really sick, won’t drink fluids, has trouble breathing or anything hurts, call your pediatrician. He can return to school once the fever is gone for 24 hours and he’s feeling better. schoolwork. So if there’s no fever and the runny nose and cough isn’t continuous or interfering with activity, send her to school. And teach her how to do the elbow cough, use tissue and wash her hands. If the cough is really bad, the kind where heads turn and look at you like you’re a bad mom for taking your child out and contaminating the world, keep him home until the cough improves. If the cough isn’t improving after 4 or 5 days, there is associated fever, trouble breathing or he is looking sick, see your pediatrician to make sure there isn’t an infection in the lungs such as pneumonia or the flu that needs specific treatment. If your child is vomiting or having diarrhea, they shouldn’t be in school. If he can’t keep fluids down, looks sick or is showing signs of dehydration (eg. decreased urine, tired, no tears) call your pediatrician. 24 hours after the vomiting and diarrhea have resolved he can return to school, but make sure everyone continues to practice good hand washing techniques, as stomach bugs can spread easily and quickly from person to person (parents included!). Minor sore throat usually isn’t a problem and may just be part of a cold, virus or even irritation from the weather or heat on at night. If your child has a more severe sore throat, especially if there is a fever involved or it’s hard to swallow, she should be evaluated and tested for strep throat, which needs antibiotic treatment. After 24 hours on antibiotics, or if antibiotics aren’t needed, 24 hours after your child is feeling better, she can return to school. If your child has goopy colored eye discharge check with your pediatrician before sending him to school, otherwise you’ll get a call from the school asking you to pick him up. Pink eye is very contagious. Most cases are viral and no treatment is needed, but if there is colored eye discharge doctors often assume it is bacterial and prescribe antibiotic eye drops. Your child can return to school after 24 hours on eye drops and the discharge has cleared. Rash can be tough to determine without looking at it (a photo via email can help). Many things can cause rashes from dry skin to infections. My usual rule of thumb is that if the rash isn’t bothering your child, it doesn’t bother me. If the rash is severe, hurts, itches, is associated with a fever or other illness symptoms call your pediatrician. Those are a few of the many illness symptoms I see every winter at my office and even in my own home. It’s important to know that if your child has been placed on an antibiotic for any reason, she should receive the medication for at least 24 hours before returning to school, attending a party or being around others. that leave many parents wondering what to do. Only you can make that game-day decision, but be considerate of others–before you take him out, think to yourself, would I want another child with the same symptoms around my son? You can always check with your childcare or school as they may have specific guidelines for when previously sick children can return. As a parent, you know your child best, so if he is acting different from usual, maybe a little more tired or irritable, or you think something is wrong, don’t send him to school. If you’re concerned, call your pediatrician. That’s what we are here for, even on Sunday.